I’ve found some conflicting information about this online. 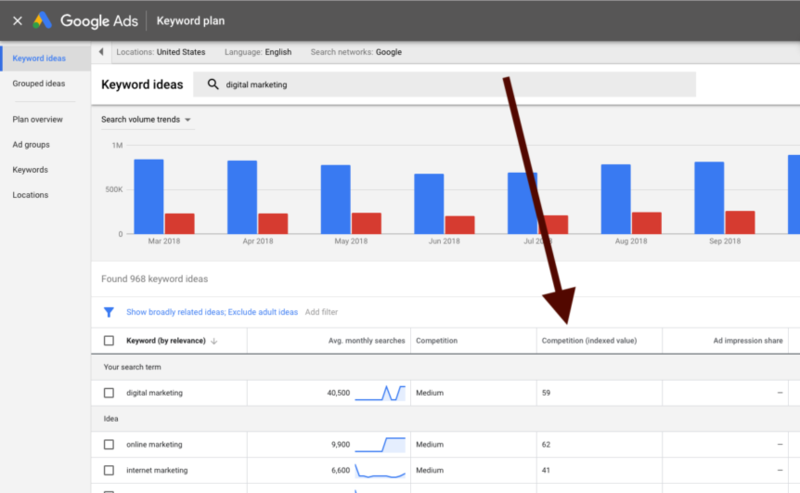 Some people seem to think this has to do with how difficult it is to rank organically in Google for that keyword, however, it’s actually a metric to gauge competition in Google Ads for that keyword on Google’s Search Network. So basically, it’s a scale from 0-100, “0” being very low search advertiser competition and “100” being very high search advertiser competition.